This morning I awaken to the smell of the wood fire. The smoke drifts through the air like a voice into my sleeping room, calling me. 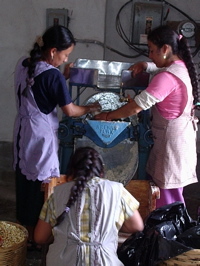 Magdalena is at the outdoor comal preparing tortillas. This is the season for blue corn. 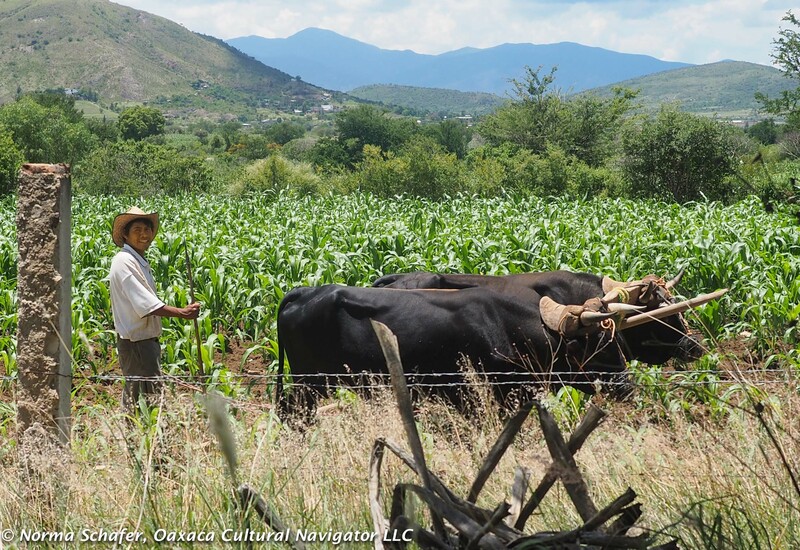 This is ancient corn — maize — organic, grown from kernels cultivated here in the Tlacolula Valley for 8,000 years. In 2010, UNESCO named the archeological site and caves at Yagul as a World Heritage Site. Here, they found evidence of corn cobs in the caves as the indigenous population shifted from hunter-gatherers to farmers, laying the foundation for cultivated agriculture in all of Mesoamerica. 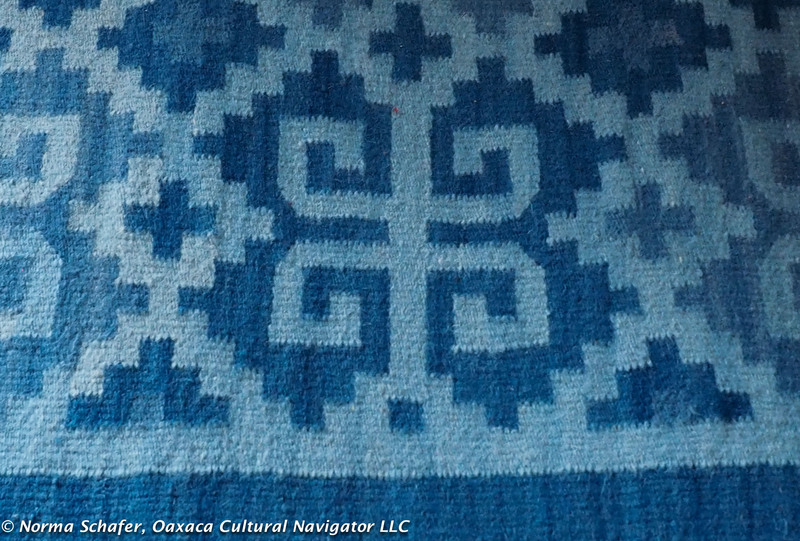 This particular blue corn that Magda uses is grown on a rancho in the foothills outside of Teotitlan del Valle on the road to Benito Juarez in the Sierra Madre del Sur, an hour up the mountain. She buys it already ground and then mixes the masa to the consistency of her liking, adding water to the dry corn powder. 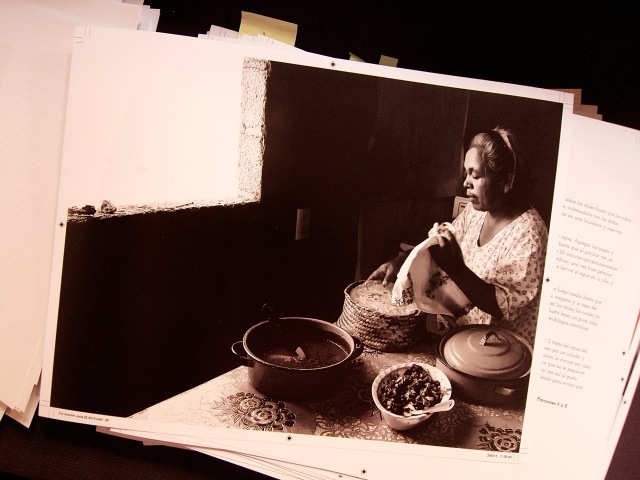 Then, she will take a fist-full from the larger balls of dough, put it on the metate, knead it by hand, then knead it with the mano de metate (the granite stone that looks like a rolling-pin). She will then form a small ball and put it between two pieces of yellow plastic and form it into the tortilla shape on the tortilla press. Lots of upper body work! Corn is sacred. It is the sustenance of life. 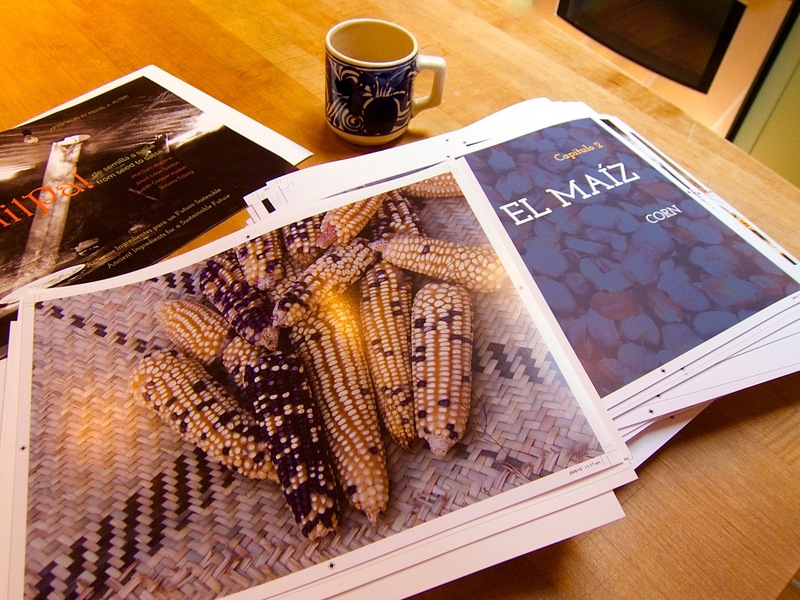 Indigenous corn is pure, not hybridized by Monsanto, and is full of nutritional value. When eaten with beans and squash, it forms a complex protein. 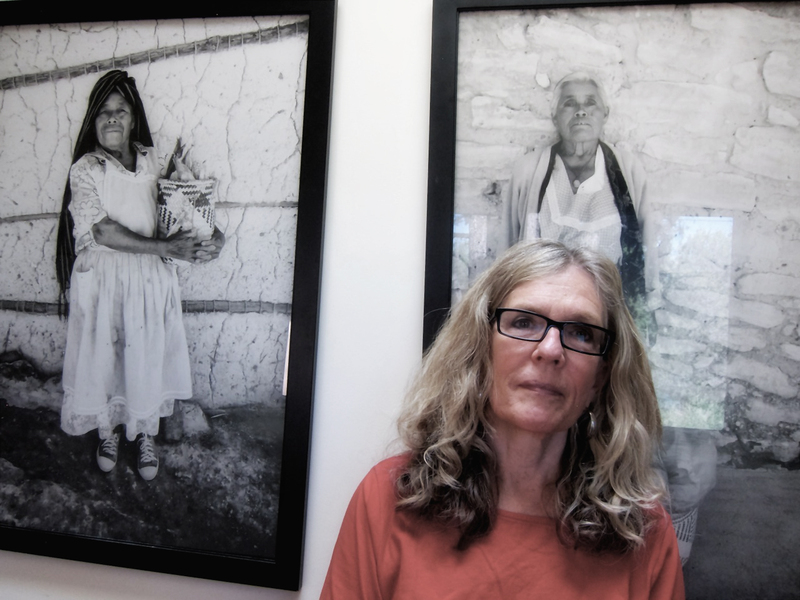 Chef Susana Trilling and photographer Judith Cooper Haden are vocal advocates in Oaxaca for the anti-Monsanto movement. 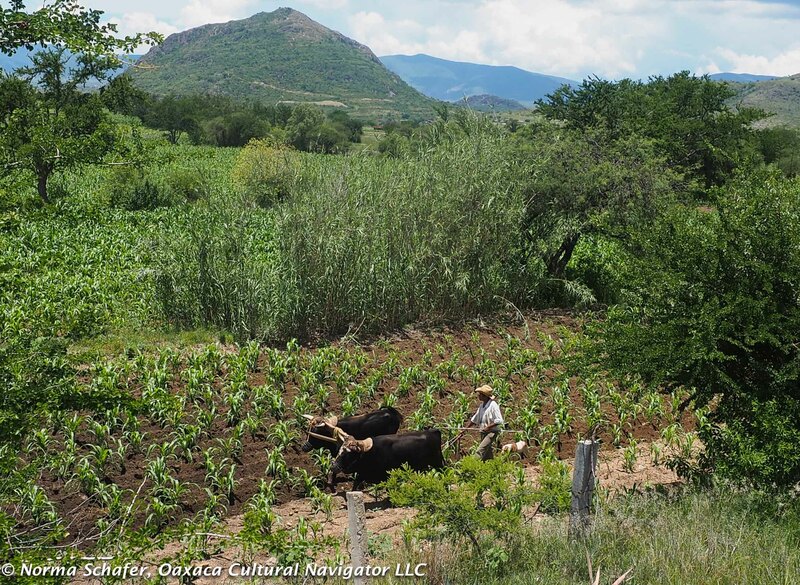 working in the Mixteca to preserve indigenous corn and the milpa crop-growing traditions. Last night for dinner I ate this blue corn with organic lettuce and tomatoes drizzled with olive oil and lime juice, a hunk of Oaxaqueño cheese, and black beans. I could taste the earthy deliciousness. The coarse bits of corn told me this was real food. Of course, it takes Magda’s wise and skilled hands to create this wonder. She is now close to 70 years old. Women live here until well into their 80’s and 90’s. She is carrying on a tradition that not many of the younger generation will adopt. It is hard work. The outdoor fire is stoked with wood gathered from the campo (countryside). 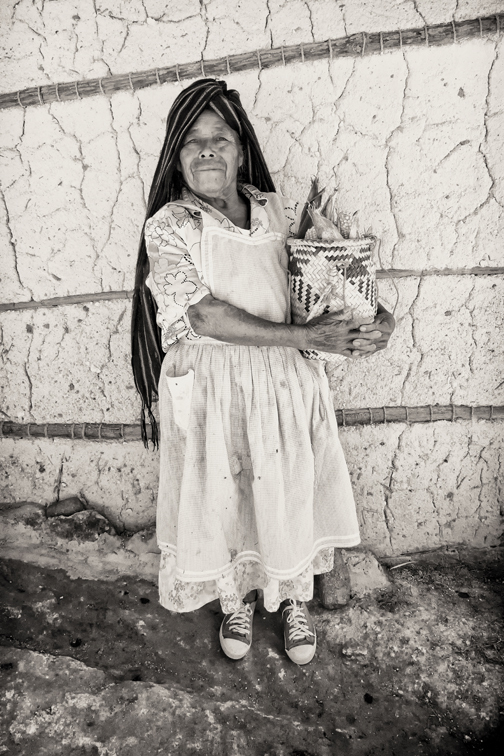 The labor of tradition is in the souls of the grandmothers. Soon it will be time for breakfast and we will eat this wonderful flat corn bread. I can hardly wait! 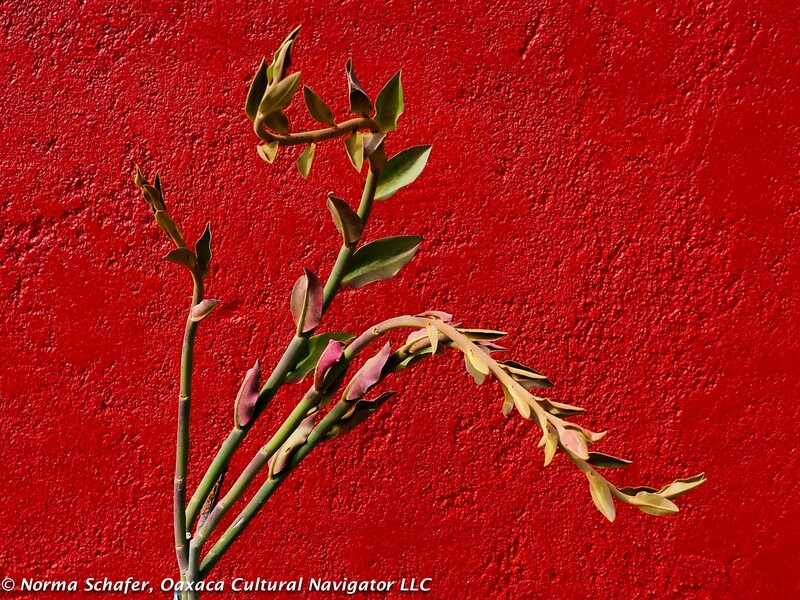 Coming Up, April 2-9: Portrait Photography Workshop. There’s a space for you! 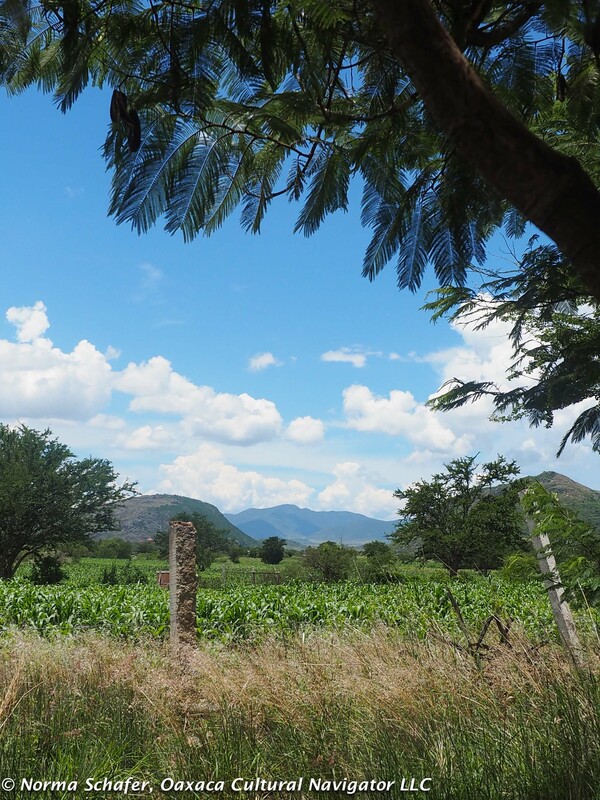 It’s amazing to know that in a farming area southeast of Oaxaca City, likely somewhere in the highlands past Mitla or Matatlan, is where maize originated. Maize is different from the huge kernel, yellow corn we know in the U.S. Its variegated, multi-colored kernels are smaller and full of healthy richness. 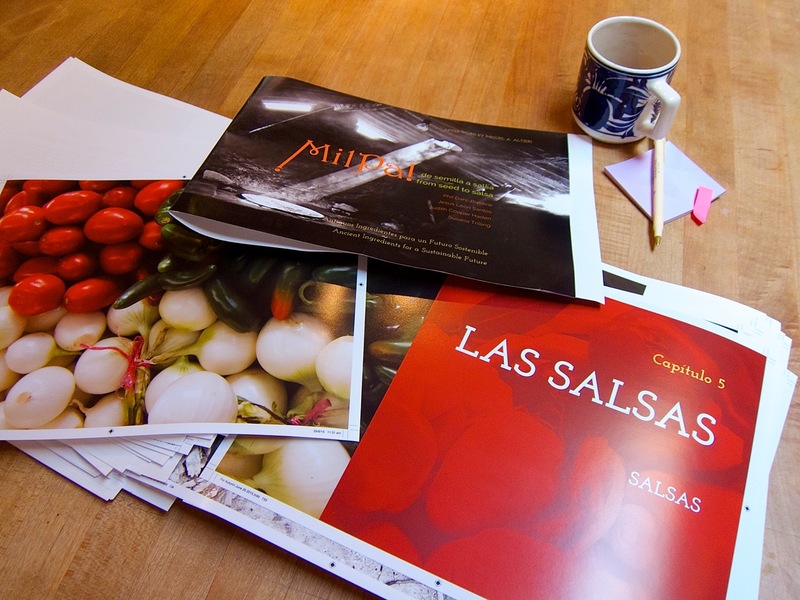 The Oaxaca region is home to at least 59 species of maize, from the protein-rich variety used to make tortilla chips to a softer grain mashed for use in tamales. Maize comes in a rainbow of colors: blue, red, black, purple, orange, yellow, creamy white, and a mix of all, each used for a distinctive purpose with distinctive textures and flavors. The cobs vary in size, too, depending on what it is cultivated for. 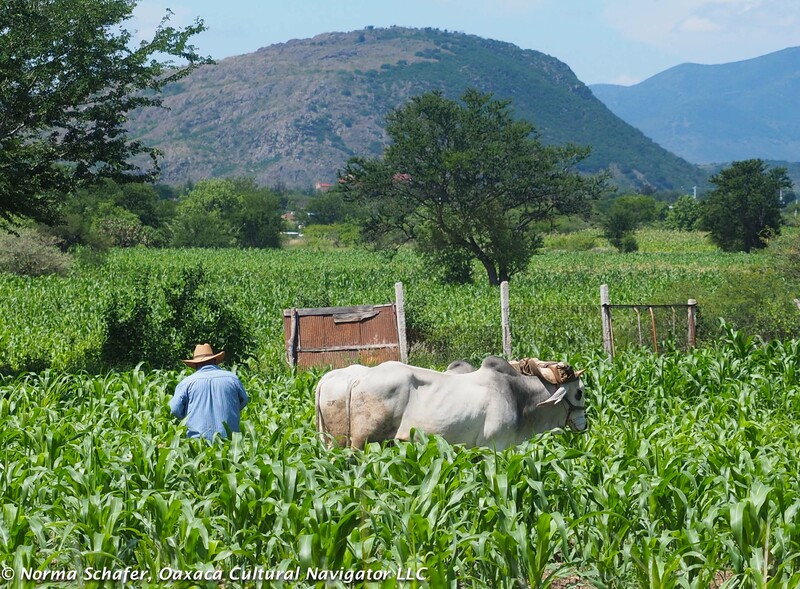 Farmers in Oaxaca first bred maize some 6,000 to 8,000 years ago, and from there it spread and was adopted by Africa, Asia and Europe. Worldwide, we eat it roasted on the cob, popped, stripped and cooked into cereal or polenta, ground and baked to become bread or cakes. It is a staple that traces its origins to a possible DNA mix of teosinte and gammagrass (there is still some controversy about origins, since teosinte has very tiny cobs and kernals). Plant geneticists believe that edible maize was developed by Mesoamericans within a 100 year time span — an incredible, accelerated feat! When combined with beans, maize offers a complex protein that is very nutritious. Though the exact date and circumstances of the first cultivation of maize is a mystery, by 1500 A.D. the Aztec and Mayan civilizations had long called the descendants of that original plant “maize,” literally “that which sustains life,” and claimed that the crop was flesh and blood itself. 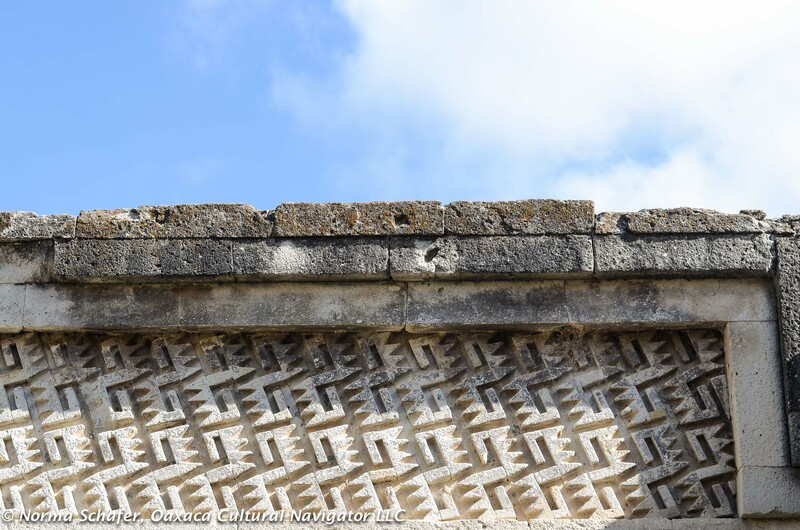 Maize cob and stalks were incorporated into the stone carved images of Aztec, Mayan and Zapotec leaders connoting royalty derived from the gods and assumed a central place in their headdress. It was a symbol of power, source of life. In the modern economies of the U.S., East Asia, and Europe, however, it is the ultimate legible” industrial raw material: agribusiness uses its starches and cellulose for fuel, fodder, paint, plastic, and penicillin. 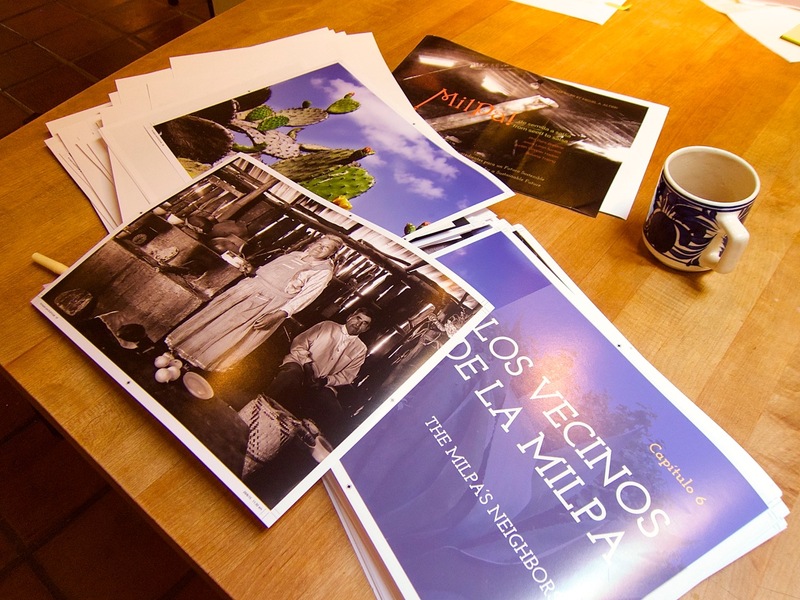 The risk is that genetically modified corn will eradicate the local small farmers of southern Mexico who have been practicing sustainable agriculture, farming on 10-acre plots for millenia, using the same milpa techniques as their forebearers to replenish the earth without having to use chemical feritilizers, a stake in the ground for cultural preservation and a healthier food source. 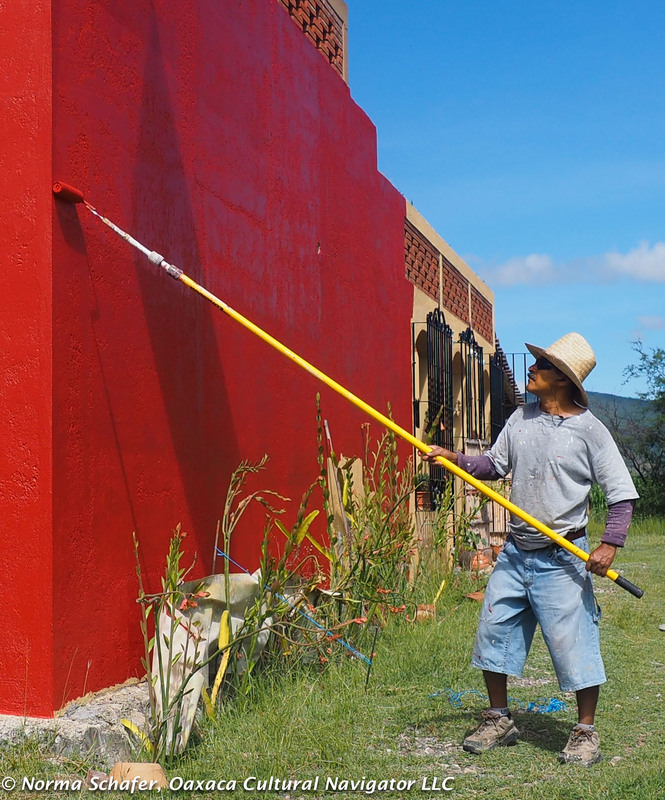 Local farmers cannot compete with the lower priced genetically modified corn produced by agribusiness, and we have seen smaller farmers in Teotitlan give up their plots. The debate is fueled around NAFTA and corn imports, providing more corn for more people that may or may not have as much nutritional value as the original source, and the risk of the genetically modified corn wiping out the DNA of the heirloom varieties. 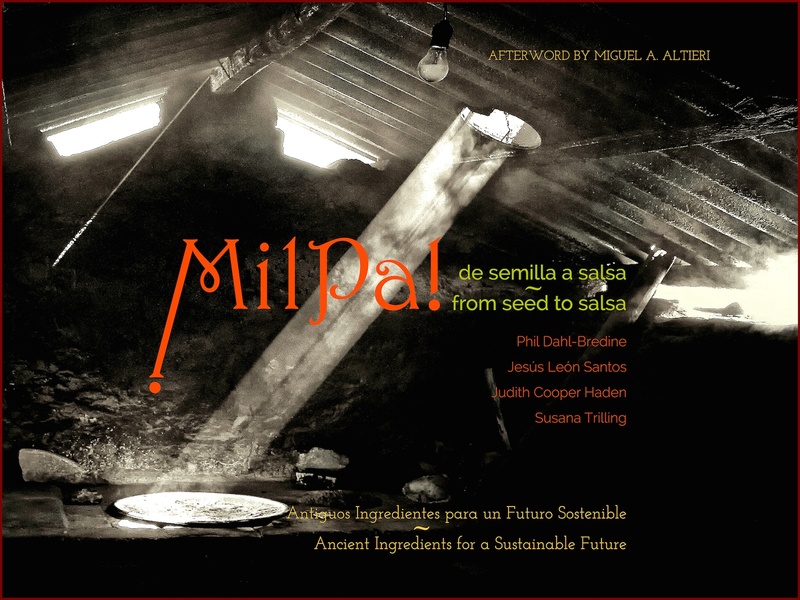 The practice of milpa is the farming technique of growing corn, beans, avocado, and squash all together on one plot of ground, the beans and squash twining around and hanging on to the corn stalks, adding their nutrients to the soil, year after year, with no depletion of minerals. 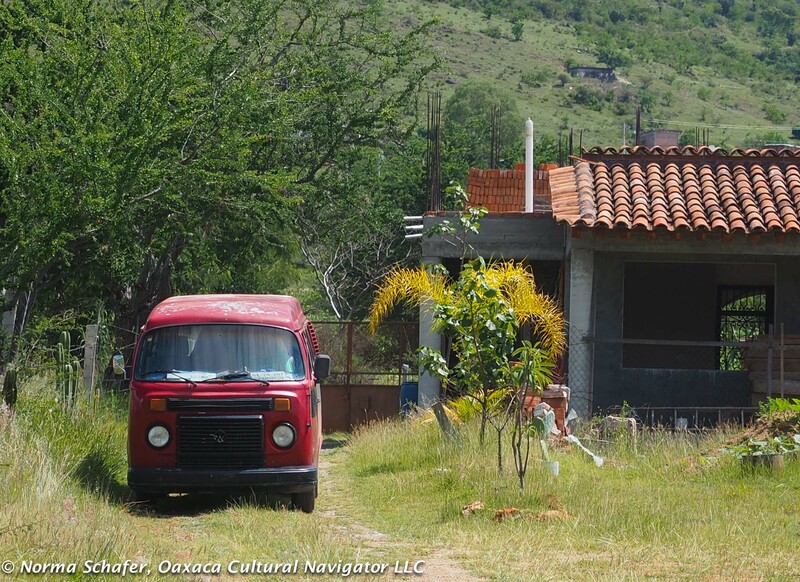 Oaxaca soils have sustained food growth in this manner for thousands of years with no loss of productivity. 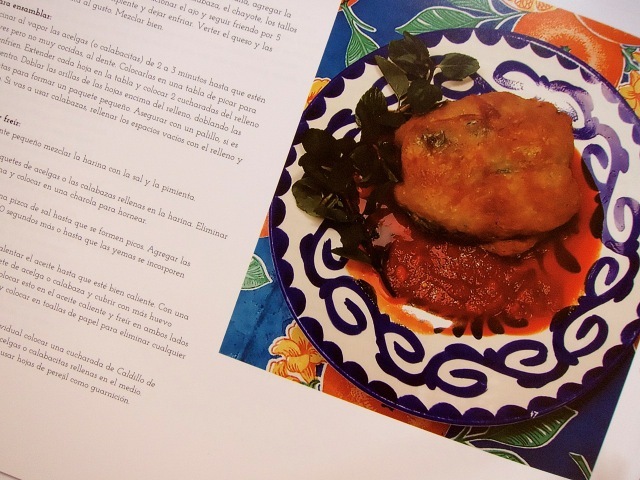 You can read more about this in Charles Mann’s book, “1491,” and when you visit Oaxaca and eat tamales and tortillas, think of this food as a 6,000 year old contribution to gastronomy and world health. Ask, if you like, where the corn comes from in order to support the local farmer and local economies. You’ll be doing your part for sustainable development.